It’s no secret that there is too plastic in the ocean…we haven’t come up with the problem solving needed to get rid of it or to stop it from going in. But a new study is suggesting that there might even more plastic in the ocean than we’ve previously thought. This study is saying that there is actually around eight million tons of plastic dumped into the ocean each year, which can be thought about as being equal to five plastic bags per each foot along all of the coastline in the entire world. There is no area of the ocean that is immune to the plastic spread either, as plastic has even been found buried in Arctic ice. In the past scientists tried to estimate how much plastic was in the ocean by taking sample counts of how much plastic floated on the surface of the water in areas where it congregates which they refer to as “garbage patches”. 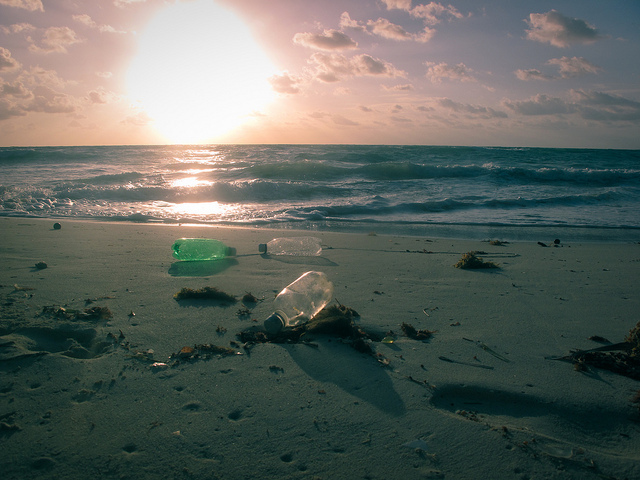 Now however they have come up with a new way to measure the trash in the ocean, and it has shown that the problem is larger than was previously thought. Having a better idea of exactly how much garbage we’re putting into the ocean, also gives researchers a strong idea about which countries are responsible for the most of it. China is the biggest offender, while the United States places 20th on the list. This lists rates the average amount of garbage going in annually, and is not reflecting the per capita amounts. The United States for example has a pretty advanced system of collecting garbage in comparison to many other countries out there, except with the large population and with so much of the country on the coastline we still made the list. The U.S. is also a wealthy nation, which means that people buy more stuff, and therefore make more garbage. Kara Lavender Law, a co-author on this report spoke on the findings and how to approach the issue. If you think about each foot of coastline in the world being covered in five plastic bags, it’s even more shocking to consider than this estimate would double to ten bags by the year 2025, which isn’t too far off. These findings have given the researchers a few things to think about, since they have only just discovered how large the discrepancy is from how much plastic is floating on top of the water and how much is flowing into the water. Specifically, they don’t yet know where the rest of it is going. This is bad. We humans ought to be ashamed of ourselves and volunteer for causes to help stop polluting our oceans.